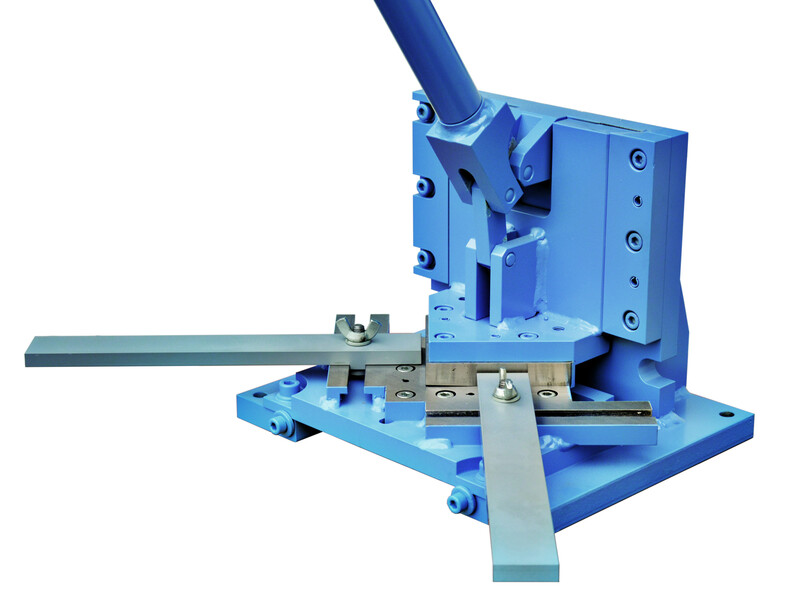 Lever Press Pd - 022 is designed for for making different kinds of openings in various metal sheets with the 1 - 2 mm gauge. Depending on the leverage added the press can reach the impact from 1000 to 5000 kg. 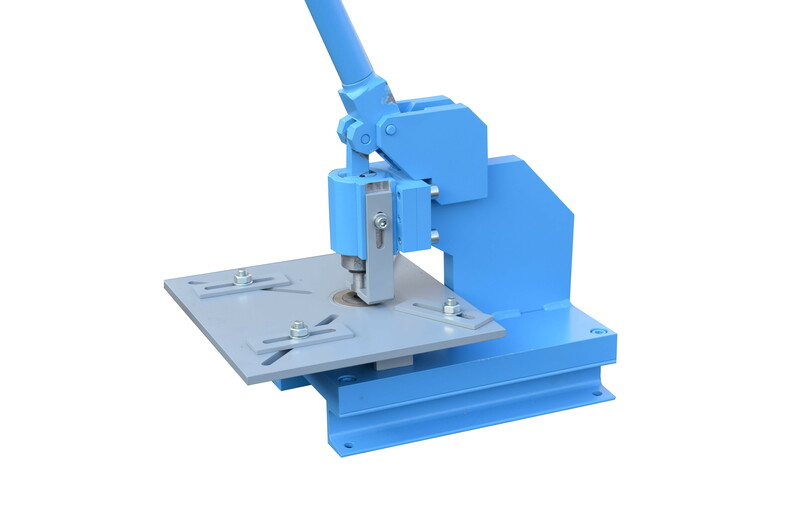 Before operating it is needed to attach the press to a heavy workshop table or special table affixed to the floor. Press is not only designed to operate with round matrix and stamp but also to have other devices attached. The blanking di eis designed for cutting angles varring from 10 ÷ 100 mm with sheet gauge from 0,3 to 1,2 mm. The tool is assigned for craftsmen, metal sheet and locksmith workshops. Beore operating the blanking die needs to be attached with screws to the locksmith tabletop. The size of the cut angles is determined by work - support blades attached to the slides with T - slots. The force of the impact depends on the length of the leverage. Assuming the lever is 1 m long and an employed worker affects the leverage by 80 kg the press slide affects the cut material with the impact of circa 5 tons. To ensure the proper device work the co-operating surfaces of the press slide and work - support blades need to be greased with solid lubricant or the machine oil.